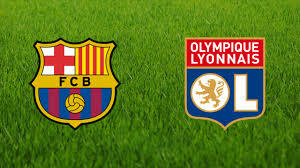 On March 13, 2019 Fc Barcelona played versus Olympique Lyon for their second match At Fc Barcelona’s Home stadium Camp Nou for the UEFA Champions League. Fc Barcelona ended up winning 5-1 and got a spot in the quarter-finals.The teams that made it to the quarter-finals are; Manchester City, Manchester United, Juventus, Ajax, Tottenham Hotspurs, Porto, Liverpool, and Fc Barcelona. These teams have been drafted and have their dates set to play. Fc Barcelona have been drafted with Manchester United, a team that made a comeback versus Paris Saint Germain. Fc Barcelona have been doing excellent in their run towards the UEFA Champions League finals, winning with 3 or more goals. I have a feeling that Fc Barcelona will make it to semi finals at the very least.